Honoring movers and shakers who are expanding our view of what it means to save places. 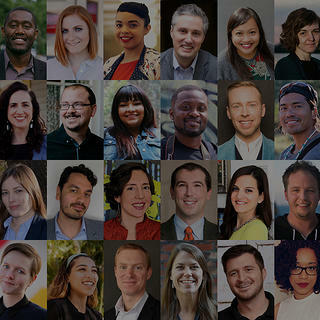 A new initiative from the National Trust, 40 Under 40: People Saving Places honors 40 movers and shakers—all age 40 and under—from a variety of backgrounds and industries. These innovators are expanding our view of what it means to save places and tell America’s full history. Browse the full list of honorees to learn why they are the future of preservation, and connect with the National Trust on Facebook, Twitter, and Instagram to tell us about the next generation of preservationists in your community. Join our email list to learn more about how we protect and celebrate America’s diverse history. Whether conserving, protecting, or rehabilitating historic buildings and landscapes, these honorees use their architectural training to enhance the environment around us. Roy J. Ingraffia Jr. is the Director of Industry Development and Technical Services with the International Masonry Institute (IMI) in Philadelphia. He is an architectural conservator with experience in design and contracting capacities, and his professional work primarily focuses on the preservation of historic masonry structures through research of traditional materials and methods, and the development of contemporary restoration techniques. Through his work with IMI, he helps to author and disseminate technical information and training programs to a broad range of audiences. One such initiative is the IMI/IMTEF Historic Masonry Preservation Certificate Program, which offers training and education to journey-level union masonry restoration craftworkers. He works toward expanding opportunities for young adults to enter into the masonry preservation trades through partnerships with allied organizations and historic sites. In addition to his work with IMI, Ingraffia teaches the Masonry Conservation Seminar within the Graduate Program in Historic Preservation at the University of Pennsylvania and is Chair Emeritus for the Association for Preservation Technology-Delaware Valley Chapter. Born and raised in Paris before living in cities across the United States, Nina Mahjoub has a special appreciation for historic buildings and how they have defined each of the cityscapes where she has resided. 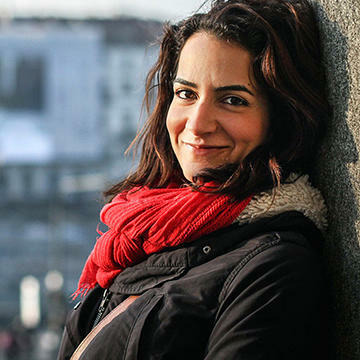 As a structural engineer, Mahjoub is committed to giving buildings a chance to live on in history: She integrates thoughtful structural upgrades to meet modern day codes without sacrificing original architecture. Mahjoub takes the impact that the building community has on conserving a city’s heritage while implementing public safety seriously—remembering the past, while paving possibilities for the future. Mahjoub’s expertise in historic preservation has proven invaluable for the analysis and design of retrofits throughout New York and California. For one project, she spent three months on site overseeing the retrofit of 140 New Montgomery, a 26-story Art Deco tower in San Francisco—one of the tallest retrofits completed in California. Mahjoub now runs Holmes Structures’ Los Angeles office, where she finds meaningful work in challenging historic preservation projects across the City of Angels, including The MacArthur, an iconic Claud Beelman building constructed in 1924. 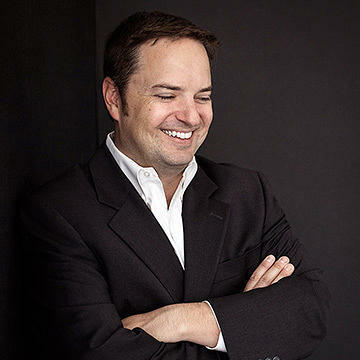 Mark Stoner is a Preservation Architect at RATIO in Chicago. A native Hoosier, Stoner attended the University of Illinois at Urbana-Champaign, earning his bachelor’s and Master’s degrees in Architecture, with a focus in historic preservation. Throughout his career, Stoner has supported a wide range of preservation projects, including the adaptive reuse and restoration of multiple hospitality, historic homestead, and mixed-use developments. He has also led National Register nominations, building condition assessments, and historic structure report submissions for multiple landmarked sites. An active member of both Indiana Landmarks and Landmarks Illinois, Stoner serves on the advisory board of the Sacred Places Indiana Program of Indiana Landmarks. He is passionate about the role that historic preservation plays in preserving the cultural and architectural heritage of our communities for future generations. In addition to all things preservation, Stoner is an avid music lover and is a trained countertenor and pianist. He lives in Palatine with his wife and three daughters. Zulmilena Then grew up in East New York, Brooklyn. She works for the architecture firm Michael Ivanhoe McCaw Architect, P.C. In 2015, her love for historic buildings and community inspired her to form Preserving East New York (PENY), an initiative advocating for the preservation of historic buildings within East New York, the first neighborhood affected by the city’s major rezoning plan. With PENY, Then’s goal is rooted in helping the East New York community to have a voice within the municipal preservation process, a topic that many in communities of color aren't aware of. Through PENY's educational programming and outreach, Then aims to demonstrate the potential of preservation as a tool that can benefit the neighborhood socially, economically, and culturally. She strives to attain the community’s interest, support, and involvement in the process of preserving the neighborhood's historic resources. 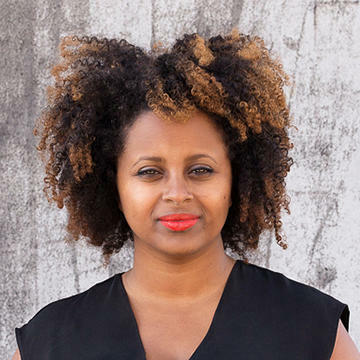 Sara Zewde is a landscape designer based in Seattle, Washington, practicing at the intersection of landscape, urbanism, and public art. In her practice, Zewde finds many powerful departure points for design, when considering the relationship between culture, craft, and ecology. Zewde was named the 2014 National Olmsted Scholar by the Landscape Architecture Foundation and a 2016 Artist-in-Residence at the Robert Rauschenberg Foundation. Her design work in Rio de Janeiro, Brazil, was featured at the 2016 Venice Architecture Biennale. Formerly, she was a landscape designer at Gustafson Guthrie Nichol. With fields ranging from health and climate to art and equity, these honorees probe and deepen the significant connections between community and place. 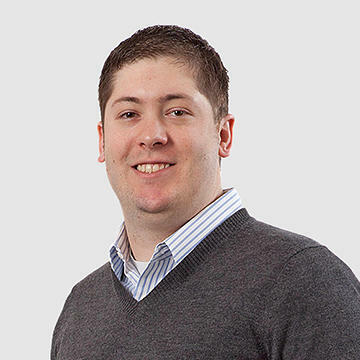 John Cramer, LEED BD+C, is a senior associate in the Midwest Office of MacRostie Historic Advisors LLC, a nationwide preservation consultant. Cramer prepares federal and state historic tax credit applications, National Register nominations, local landmark designation reports, and Section 106 review for building projects across the country. For over a decade, Cramer has worked with building owners, developers, architects, contractors, and regulators on a variety of non-profit and for-profit preservation projects. 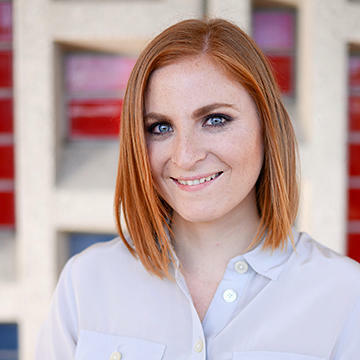 Before joining MacRostie in 2013, Cramer worked as a project manager for preservation architecture firms and advocacy organizations, and as an independent design and preservation consultant. His recent historic tax credit projects include the Chicago Motor Club and the Stony Island Arts Bank, both in Chicago, and multiple rehabilitations at Chicago’s former Sears Roebuck complex and Milwaukee’s former Pabst brewery complex. Carmer holds Bachelor and Master of Architecture degrees from Tulane University in New Orleans and a Master of Science in Historic Preservation from the School of the Art Institute of Chicago. Bryan Lee Jr. is a designer and design justice advocate. He is the founder/director of Colloqate Design, a nonprofit multidisciplinary design practice dedicated to expanding community access to design and creating spaces of racial, social, and cultural equity. Lee most recently served as the place and civic design director for the Arts Council of New Orleans, and prior to that at the 2014 AIA National Firm of the Year, Eskew+Dumez+Ripple (Architecture) in New Orleans. Lee is the founding organizer of the Design Justice Platform and organized the Design As Protest National day of Action. Additionally, he has led two award-winning architecture and design programs for high school students through the Arts Council (local) and the National Organization of Minority Architects (national), respectively. In 2016, Lee was selected to give a TED Talk and to Keynote at SXSW Eco on Design Justice. Adriel Luis is a community organizer who believes that social justice can be achieved through surprising, imaginative, and loving approaches to art. He is a member of iLL-Literacy, an arts collective dedicated to strengthening black and Asian coalitions; he is the creative lead of Bombshelltoe, which highlights communities and narratives that have been overlooked in nuclear history; and he is the curator of digital and emerging media at the Smithsonian Asian Pacific American Center, where he pushes for the visibility of artists and communities of color in museums. 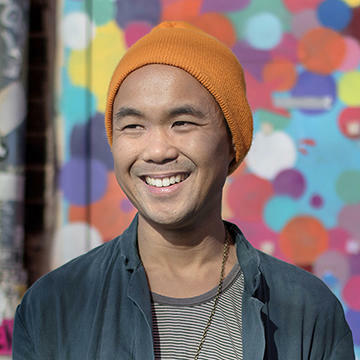 Luis has curated shows at the Smithsonian Arts & Industries Building in Washington, D.C., the Asian Arts Initiative in Philadelphia, and an abandoned supermarket in Honolulu. He has spoken at the Tate Modern, Yale University, the National Museum of African American History and Culture, and the China Academy of Fine Arts. He has shared his writing and music at the Brooklyn Academy of Music, SXSW, the John F. Kennedy Center, and the American University of Paris. He has a bachelor of sciences from UC Davis in Community and Regional Development with a focus on ethnic studies. He makes way too many dad jokes for someone who doesn’t have kids. Bayard “Bay” Love is an independent management consultant whose work is dedicated to ending structural racism and developing the capacity of leaders and organizations to bear witness to, process, and address the deep collective challenges we face. A critical part of that work is uplifting and bearing witness to the collective history we share. Based in New England, Love works locally and nationwide through collaboration with clients and partners who share those commitments. 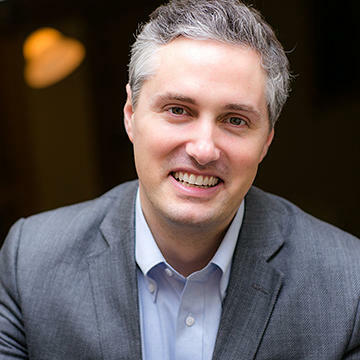 He holds an MBA from University of North Carolina, a Master’s in Public Policy from Duke University, and has worked professionally in corporate strategy, nonprofit management, and fund development. Love is also proud to be a trainer and organizer with the Racial Equity Institute of Greensboro, North Carolina, since 2010. 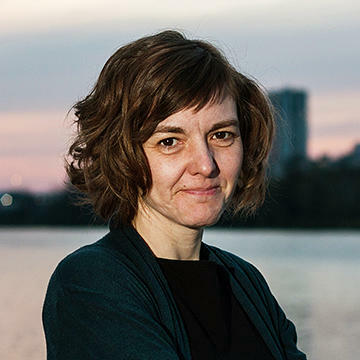 Victoria Herrmann is the president and managing director of The Arctic Institute, where she leads the Institute's research on climate change and community adaptation in Arctic communities. In 2016-2017, she was the lead explorer for America's Eroding Edges, a research and storytelling project on the impacts of climate change on coastal communities, livelihoods, and cultures partnered with the National Trust for Historic Preservation and funded by the National Geographic Society. With further support from the JMK Innovation Prize and the National Trust, Victoria is building a skills-based volunteering platform to connect community needs to pro bono assistance in climate change adaptation and historic preservation. 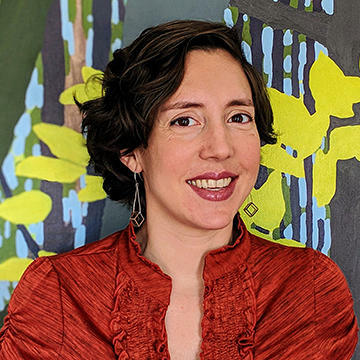 Michelle Angela Ortiz is a visual artist, skilled muralist, and community arts educator who uses her art as a vehicle to represent people and communities whose histories are often lost or co-opted. Through community arts practices, painting, and public art installations, she creates a safe space for dialogue around some of the most profound issues communities and individuals may face. Her work tells stories using richly crafted and emotive imagery to claim and transform spaces into a visual affirmation that reveals the strength and spirit of the community. For over 18 years, Ortiz has designed and created over 50 large-scale public works nationally and internationally. Since 2008, Ortiz has led art for social change public art projects in Costa Rica & Ecuador and through the US Embassy in Fiji, Mexico, Argentina, Spain, Venezuela, Honduras, and Cuba. 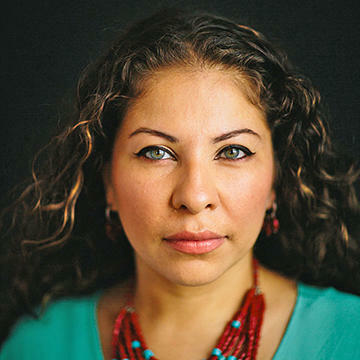 Ortiz is a Rauschenberg Foundation Artist as Activist Fellow, a Kennedy Center Citizen Artist National Fellow, and a Santa Fe Art Institute Equal Justice Resident Artist. In 2016, she received the Americans for the Arts' Public Art Year in Review Award, which honors outstanding public arts projects in the nation. Anna Ricklin, AICP is a passionate advocate for healthy communities. She currently serves as the first health in all policies manager for the Fairfax County, VA Health Department, where she acts as a health ambassador across county agencies. In this role, Ricklin promotes the integration of public health objectives into county plans, policies, and building projects. Formerly, Ricklin led the American Planning Association's Planning and Community Health Center, where she oversaw applied research and place-based initiatives to advance healthy planning practice. She has a background in health impact assessment, active transportation planning, and cross-sector collaboration, as well as recent work establishing metrics for healthy planning. To encourage the next generation of preservationists, a generous donor is matching gifts, dollar-for-dollar, from donors born after 1968. These curators and travelers help others explore the wider world—from museums to mountaintops—through innovative programming, public engagement, and digital outreach. 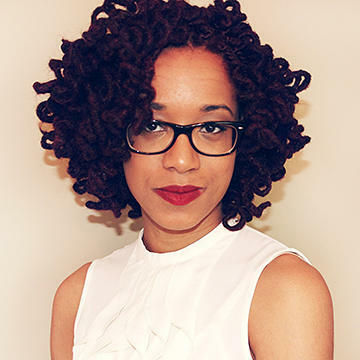 Camille Bethune-Brown is a Washington, D.C.-based public historian and researcher. Throughout her curatorial work, Bethune-Brown has exhibited and researched hundreds of key figures in United States African American historiography, including a sub-section of U.S. Naval History focusing on 20th-century stories of remembrance. 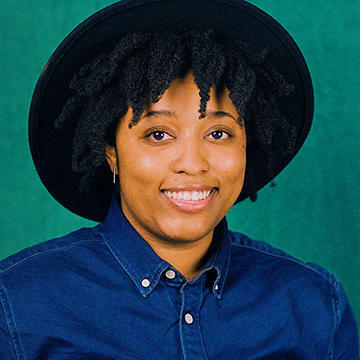 Her current research is focused on aspects of late 19th- and 20th-century African American culture and historiography related to the emergence of museums and memory making. By considering the relationship between the production of history from an underrepresented population and market forces that drive how history is shared, her work offers a model for continued evaluation of 20th-century African American history in public museum spaces. 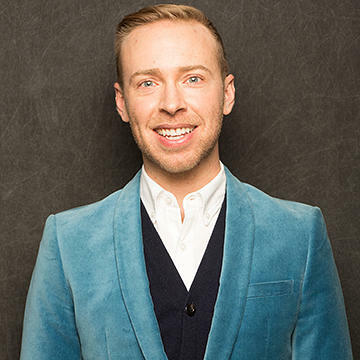 Nick Gray is the founder of Museum Hack, a company of educators and actors who give renegade tours at some of the best museums in the world. Gray is a former techie. He doesn’t come from an arts background, and he claims to “hate” most museums. His company Museum Hack has been featured in publications such as Forbes, The Wall Street Journal, and Newsweek. Gray was named “The Best” by his mother in 2012, 2014 and 2015 (runner-up). Len Necefer is a member of the Navajo Nation and is from the Tachii’nii and Naakai Dine’e clans. He is a graduate of the United World College of the American West and recently completed his doctorate at Carnegie Mellon University’s Department of Engineering and Public Policy. He is the founder and CEO of the Denver-based gear company, NativesOutdoors. Currently he is an Assistant Professor of American Indian Studies at the University of Arizona. 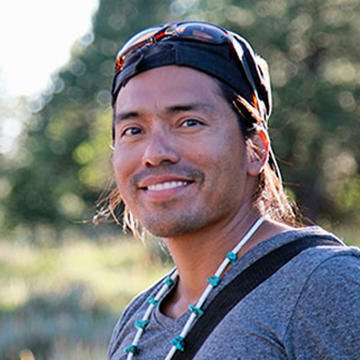 His work focuses on the intersection of indigenous people, land management, energy, and outdoor recreation. Amanda Roper has been working in the public history field for eight years, after attaining a degree in history from the College of Charleston. She is currently the Assistant Manager of the Lee-Fendall House Museum in Alexandria, Virginia, where she has revitalized public programming over the past year. The tour “Under the Same Roof: Enslaved and Free Servants at the Lee-Fendall House,” has successfully attracted new, more diverse audiences to the site. Roper is particularly passionate about sharing underrepresented stories and encouraging empathy and dialogue from program participants. She has told a more inclusive American narrative at places like McLeod Plantation Historic Site, the National Mall, and the National Museum of African American History and Culture. Roper’s belief in history’s relevance and its power in shaping us as individuals, communities, and as a nation, is what inspires her to preserve America’s past. 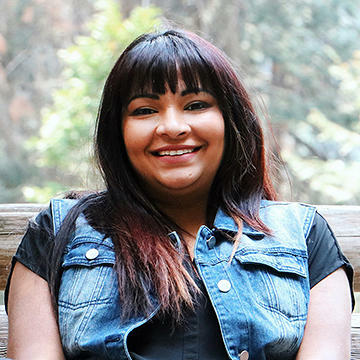 Ambreen Tariq is the founder of @BrownPeopleCamping, which she launched in August 2016 in celebration of the National Park Service’s centennial. @BrownPeopleCamping is a social media initiative based on Instagram that utilizes personal narratives and digital storytelling to promote greater diversity in our public lands and outdoors community. Tariq uses storytelling to share how her life experiences as a Muslim, South-Asian American immigrant female have shaped her love for the outdoors; to reflect more openly on the role privilege plays in enabling us to enjoy the outdoors; and to promote the ability for everyone to experience the outdoors in their own authentic ways. She strives to help grow the community of people who, having developed personal connections to the environment, will feel invested in protecting and advocating for its future well-being. Tariq is a non-practicing attorney who works for the federal government in Washington, D.C., and she runs @BrownPeopleCamping outside of her day job. 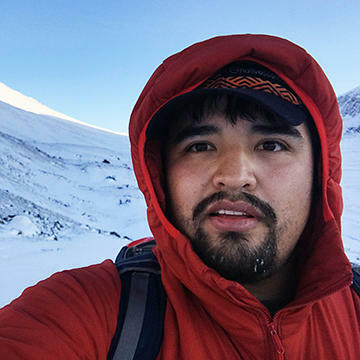 Through @BrownPeopleCamping, Tariq has collaborated with various partners in government agencies, nonprofit organizations, and private industries to promote diversity in the outdoors. She is a brand ambassador for Airstream and REI, an associate board member of the City Kids Wilderness Project, and a board member of Green Muslims. These preservationists use their leadership and research to rally communities around historic resources, connect preservation to social justice, and foster the rising generation of place-savers. Michael Allen has worked on a wide range of historic preservation projects since he founded the St. Louis-based Preservation Research Office (PRO) in 2009. PRO has worked on designation, tax credit, public policy and public interpretive projects in St. Louis as well as across eight states. Allen also holds an appointment as senior lecturer in Architecture and Landscape Architecture at Washington University in St. Louis. His recent scholarship has been supported by the Mellon Foundation’s Divided City project and the Regional Arts Commission in St. Louis. His publications include chapters in Bending the Future: 50 Ideas for the Next Fifty Years of Historic Preservation in the United States (2016) and The Making of an All-America City: East St. Louis at 150 (2011). His critical writing on historic preservation and legacy cities has appeared in Next City, Temporary Art Review, Preservation Leadership Forum, the St. Louis Post-Dispatch and other outlets. 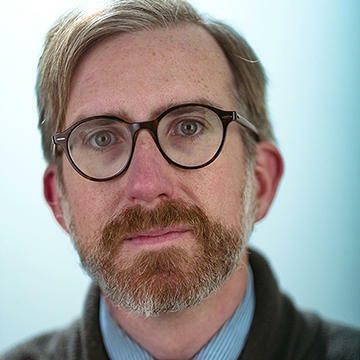 Allen serves as an advisor to the National Trust for Historic Preservation, a regional advisor to Landmarks Illinois, and a board member for the National Building Arts Center. 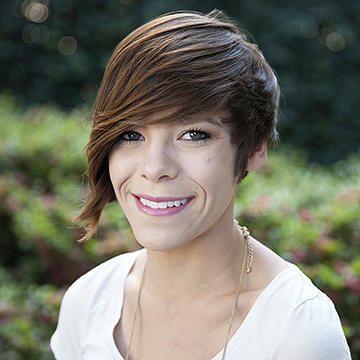 Cara Bertron is the Deputy Preservation Officer for the City of Austin. With more than 12 years of experience in preservation planning and community development, Bertron is committed to shaping more equitable cities through the creative preservation of historic and cultural heritage. 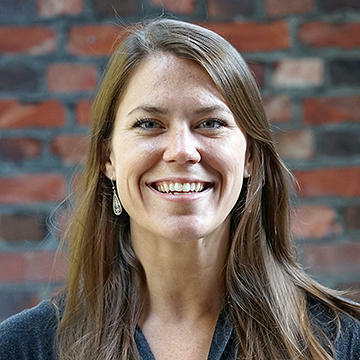 She has led equity-focused preservation planning in Seattle’s Chinatown International District and facilitated the development of the Action Agenda for Historic Preservation in Legacy Cities. As the first director of the Rightsizing Cities Initiative at PlaceEconomics and the co-founder and chair of the Preservation Rightsizing Network, she has spoken and written extensively about legacy city preservation; she has also developed and advised on innovative historic resource surveys. Bertron serves as a National Trust Adviser and a member of the Next City Vanguard. She enjoys exploring cities by bike and baking elaborate cakes. 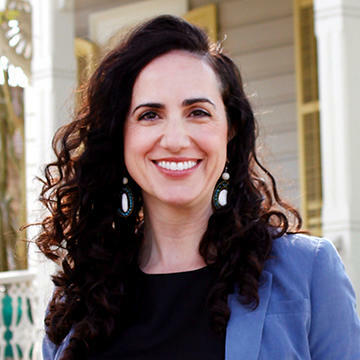 Danielle Del Sol is the executive director of the Preservation Resource Center of New Orleans. She was named executive director in February 2018 after the PRC’s board undertook an extensive national search; she is only the fourth director in the organization’s 44-year history. She served for seven years before that as editor of Preservation in Print, the monthly magazine of the PRC, taking the publication’s design and content to new levels of sophistication, winning several prestigious awards along the way. She also served as the PRC’s communications director. She is an adjunct lecturer in the Master of Preservation Studies program at Tulane University, of which she is also an alumna. Del Sol serves on the City of New Orleans’ Central Business District Historic District Landmarks Commission, among other volunteer roles. She was a Diversity Scholar with the National Trust for Historic Preservation in 2012. She is a native of Miami, Florida, and has degrees from Tulane University and Hendrix College. She lives in Uptown New Orleans with her husband and two daughters in a c. 1905 camelback shotgun that the couple restored in 2015. 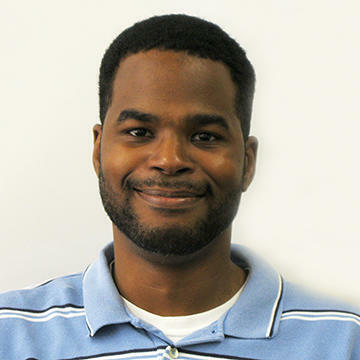 Carlton Hall is a cultural preservation specialist and historian for the Delaware State Historic Preservation Office in Dover, Delaware. In 2015, he conducted scholarly research and gave presentations on Delaware listings in the Green Book, which is a travel guide created by Victor Green in 1936 for African Americans during segregation. Hall graduated from Delaware State University in 2013 with a Master’s in Historic Preservation. In his spare time, this Civil War and African American history enthusiast also enjoys jogging, traveling, and learning to speak French and play the bass. Michelle Magalong is a leading voice for the Asian and Pacific Islander community and in historic preservation as the executive director of the Asian and Pacific Islander Americans in Historic Preservation (APIAHiP). She is also the associate director of the Center for Social Innovation in the School of Public Policy at University of California, Riverside (UCR). She received her BA in Ethnic Studies and Urban Studies and Planning at University of California, San Diego (UCSD), and MA and PhD in Urban Planning at University of California, Los Angeles (UCLA). She served in numerous advisory roles in historic preservation, including on the National Parks Service Experts Panel for the Asian American/Pacific Islander Heritage Theme Study at National Historic Landmarks Program (Department of the Interior), Advisory Committee for California Statewide Asian American Context Statement, and Advisory Committee for the City of Los Angeles SurveyLA Asian American Context Statement. Collecting Junior Ranger badges from National Park Service sites as a youth developed Sarah Marsom’s appreciation for the past and a sense of place. Marsom works to improve the preservation movement’s accessibility by empowering the next generation of community advocates and increasing the representation of lesser known histories. If historic preservation is inaccessible, it is neither relevant nor revolutionary. Through the creation of Young Ohio Preservationists in 2014, Marsom helped start a statewide initiative to embolden young adults to protect the past. 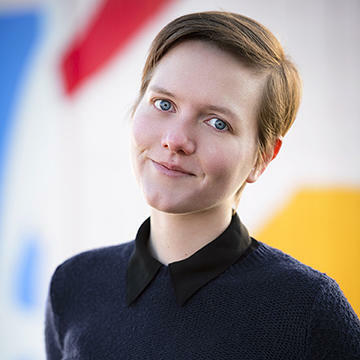 With other leaders from young preservationist groups around the region, Sarah co-founded the Rust Belt Coalition of Young Preservationists in 2016, to create free educational opportunities for emerging community leaders in the region. Her efforts to create opportunities for emerging preservation professionals and highlight hidden histories led to the development of the Tiny Activist Project. The Tiny Activist Project spreads awareness for influential women of the past, through hand sewn dolls and workshops that fuse art and history. Every doll sold contributes to an Emerging Professionals scholarship for National Trust for Historic Preservation annual conference attendance. 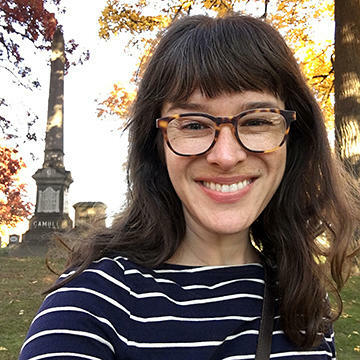 Crafting connections to the past fuels Sarah Marsom’s passion for preservation, and her work as a heritage resource consultant. Brittany V. Lavelle Tulla is the proprietor and lead architectural historian of BVL Historic Preservation Research. Based in South Carolina, the firm specializes in historic property research, National Register of Historic Places nominations, and historic tax credit consulting. Clients include the National Park Service, the South Carolina Department of Parks, Recreation & Tourism, Charleston County Parks and Recreation Commission, the City of Charleston, and a wide array of both private and commercial interests. Lavelle Tulla is an adjunct professor in the Department of Historic Preservation and Community Planning at the College of Charleston, and she leads the Charleston World Heritage Coalition, a nonprofit organization dedicated to gaining World Heritage recognition for historic resources in Charleston. She also chairs the Young Preservationists of Charleston and currently serves on the Town of Mount Pleasant Historical Commission, as well as the board of the Preservation Society of Charleston's Charleston Heritage Symposium. In the hands of these honorees, writing, photography, filmmaking, and social media become tools for engagement, drawing people into America’s full history. 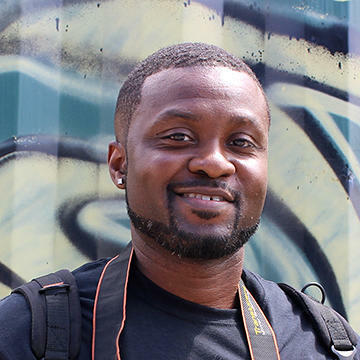 Tyrell Anderson is an avid green urbanism volunteer in his community, photographer, husband, and father. He is also the president and founder of Decay Devils Inc., a three-year-old nonprofit organization. Its mission is to educate the general public about the historic and social importance of abandoned architectural structures, as well as to seek out and secure funding to restore and preserve abandoned historic structures through local communities and the world. Anderson lives in Gary, Indiana's Miller Lakeshore Dunes community, graduated from Purdue University Lafayette with a bachelor's degree in Industrial Technology, and works for The U.S. Steel Corporation. He also currently sits on The Gary Public Libraries administrative board. 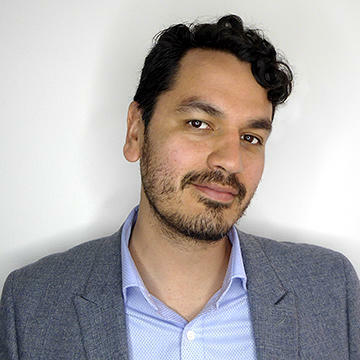 As a PhD student in the department of Anthropology at New York University, Angelo Baca researched interests in indigenous international repatriation, indigenous food sovereignty, and sacred lands protection. His work reflects his long-standing dedication to Indigenous researchers working with Indigenous communities on equal and respectful terms. Baca also taught a variety of Native American and Indigenous course topics, from college to Ivy League university settings. Working with Indigenous communities, he uses a community-based participatory research methodology and empowers local and traditional knowledge keepers to drive and direct their collaborative project work using best practices in social science frameworks of anthropology. As a filmmaker, Baca developed films and digital storytelling projects that engage issues and themes concerning Indigenous communities in both documentary and fiction productions, centering the Indigenous voice and promoting the positive asset-based strengths of their representations. Currently, he is serving a fellowship with Utah Diné Bikéyah, an Indigenous nonprofit organization dedicated to land protection. Baca’s traditional Navajo grandmother, Helen Yellowman, was featured in the award-winning documentary short film “Shash Jaa’: Bear Ears,” where she spoke about the importance of protecting the sacred lands of Bears Ears region and impacts of resource extraction on Indigenous land. 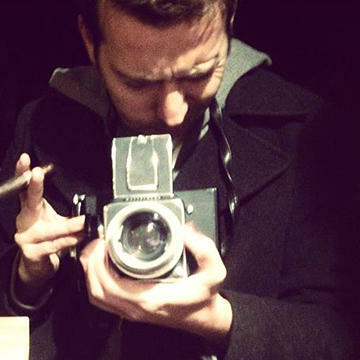 Jeremy Blakeslee is a photographer, urban archeologist, and preservationist who specializes in the documentation of historic industrial architecture, machinery, infrastructure, and mines. He’s a graduate of the School of Visual Arts in New York City, and is currently based in Oakland, California, photographing all regions of the United States. The work of his studio supports many historic preservation societies, organizations, and museums. He spends a lot of time researching, identifying, and raising awareness for preservation problems, and is currently working on a photography book with Princeton Architectural Press on coal, iron, and steel. Amy Elliott Bragg is a writer, editor, and history lover. For Atlas Obscura, Detroit's Model D, and on her own blog and newsletter, she has explored how Detroit became a city of trees; the origins of cremation in the United States; the story of the woman who launched Detroit's historic preservation movement; and why Michigan is on Eastern Time. She is the immediate past president of the board of directors of Preservation Detroit, the city's largest historic preservation advocacy organization, and a co-founder of Brick + Beam Detroit, a Knight Cities Challenge-winning project to bring together Detroit's building rehab community. When she's not working at old books or old buildings, she is special projects editor for Crain's Detroit Business. She is a Beloit College graduate and the author of Hidden History of Detroit, published by the History Press in 2011. 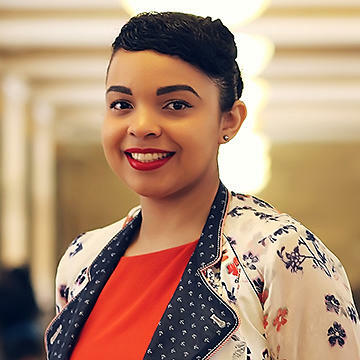 Lanae Spruce is currently the manager of social media and digital engagement at the Smithsonian National Museum of African American History & Culture (NMAAHC). Her job is focused on building the museum's social media presence to foster learning, creativity, and shared discovery—as a means to transform our understanding of the African American experience, American history, race, and modern society. Spruce is a proud graduate of the Scripps Howard School of Journalism and Communications at Hampton University. She has over eight years of experience in digital media and has worked for LivingSocial, the National Retail Federation Foundation, and Bad Boy Entertainment. Specializing in social media content strategy, Spruce has developed and led several noteworthy campaigns including #HiddenHerstory and #SmithsonianCypher. She has an interest in Black Twitter, inclusion and equity, technology, and social justice. These honorees focus on diverse projects that bring history alive for people through community education, engagement, and empowerment. Artist and illustrator Carlos Carmonamedina features weekly illustrations that show Washington, D.C.’s famed landmarks and lesser-known treasures, and the many stories behind them. His project, “Postcards from Washington, D.C.,” began in 2016 as a personal challenge. Having recently moved to D.C. from France, Carmonamedina used this project as an excuse to become familiar with the city. Posting his work online to keep himself accountable, Carmonamedina soon gained support of his community. With both humorous and sometimes sorrowful situations, Carmonamedina illustrates the human side of the city. In his images, the capital becomes a multifaceted character in and of itself. These postcards are testaments to our time, an homage to an exciting and awesome metropolis changing at an ever-accelerating pace. Guided not by any single style or technique, Carmonamedina instead allows the city to dictate the mood for the week's image. Born and raised in Mexico, Carmonamedina lived in Europe for seven years, arriving in Washington, D.C., in 2015. Amanda Davis is an architectural historian and has been the project manager of the NYC LGBT Historic Sites Project since its founding in 2015. The initiative is the first to comprehensively document the LGBT community's cultural heritage in New York City and was partially funded by the National Park Service’s Underrepresented Communities Grants program. 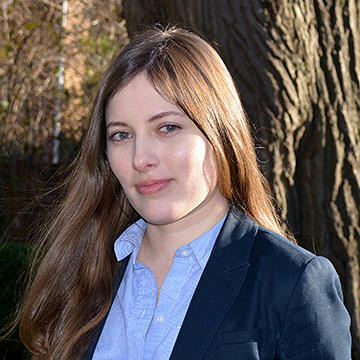 Davis oversees the project’s survey and research efforts and manages its interactive website, which she helped conceive. She also gives educational talks and engages with various stakeholders to broaden the public’s understanding of LGBT history. In 2017, she authored the National Register of Historic Places nomination for the Caffe Cino, the pioneering 1960s Off-Off-Broadway and gay theater venue. 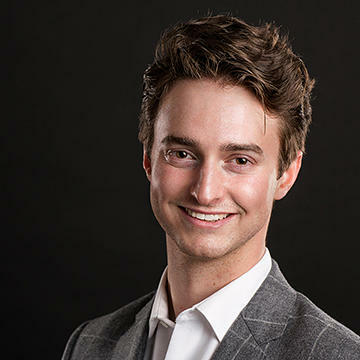 Davis previously served as the Director of Preservation and Research at the Greenwich Village Society for Historic Preservation and gained experience conducting cultural resource surveys at Architectural Resources Group in Los Angeles and the Landmarks Preservation Commission in New York. 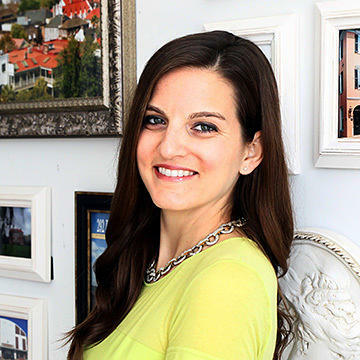 Of Jewish and Colombian ancestries, she holds a BA in Architectural History from the University of Virginia and an MS in Historic Preservation from Columbia University. Sheryl Davis is a historic preservationist specializing in places significant to the birth and development of rock ‘n’ roll. During her graduate studies, Davis’ national inventory and preservation activity survey of 1950s rock 'n' roll landmarks was a watershed leading to the creation of Re:Muse-icology, her professional platform for promoting music history as a vital theme in preserving America's built heritage. Re:Muse-icology is a play on words, combining the prefix “re” with “muse” and “musicology” to represent her broader efforts in reframing musicology (the study of music) for the built environment and historic preservation practice. Davis’ work focuses on her passion for bringing greater recognition to the underrepresented places that tell the story of early rock 'n' roll and its roots. Her relationships with communities center around the importance of how the individual's life experiences, emotional attachments to place, and associated feelings of musical and environmental nostalgia motivate and sustain the relevancy and survival of rock 'n' roll heritage sites. Some of Davis’ past academic and professional work includes collaborations with the Circle G Foundation (Elvis Presley’s Circle G Ranch), Arkansas State University (Johnny Cash Boyhood Home), the Buddy Holly Educational Foundation, Music Heritage UK, Iowa Rock ‘n’ Roll Music Association, Doo Wop Preservation League, and the National Association for the Preservation of African American History and Culture. She is a 2018 Gladys Krieble Delmas Visiting Scholar at the Rock and Roll Hall of Fame Library and Archives and a lead advisor for the Everly Brothers Childhood Home Foundation. Katie Rispoli Keaotamai employs educational and technical approaches tied to historic places that encourage civic participation among young, diverse audiences. In 2014, she founded We Are the Next, a nonprofit organization providing youth programs, community engagement, and placemaking projects with a mission to engage the next generation with their city so their neighborhoods can thrive. 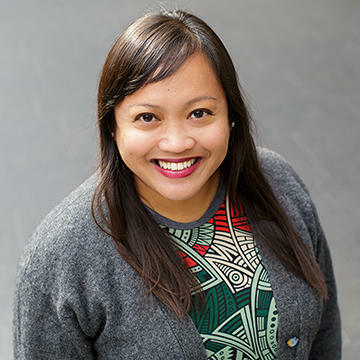 Based in the Los Angeles region, Rispoli Keaotamai serves as Executive Director of We Are the Next and on local committees, and is a partner in Heritage FM, a podcasting network providing culturally charged audio entertainment for all. Through Heritage FM, Rispoli Keaotamai co-hosts Naked Nonprofit, a podcast offering uncensored insight into the struggle and adventure of running a young nonprofit organization. Luke Pecoraro is a historical archaeologist employed as the Director of Archaeology at George Washington’s Mount Vernon. He has worked in cultural resource management archaeology in the mid-Atlantic, the Chesapeake, and New England on a variety of prehistoric and historic sites, and for several years as a staff archaeologist on the Jamestown Rediscovery project. Pecoraro is also a research archaeologist for the First Colony Foundation, searching for the 16th-century “Lost Colony” on Roanoke Island, and a team member of the Survey and Landscape Archaeology on Montserrat (SLAM) project in the British West Indies. He holds a Bachelor’s degree in history (Virginia Commonwealth University), a Master’s in archaeology (Boston University), and a PhD from Boston University, with his dissertation focused on the cultural landscape of Daniel Gookin, Jr. (1612-1687). 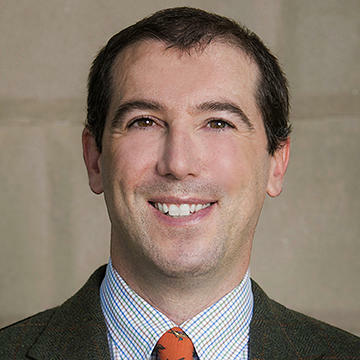 Pecoraro is an active member of several professional organizations, including the Society for Historical Archaeology, Post-Medieval Archaeology, and the Society of Early Americanists. Recent publications include “‘We Have Done Very Little Investigation There; There Is a Great Deal yet To Do:’ The Archaeology of George Washington’s Mount Vernon,” in the book Stewards of Memory: The Past, Present, and Future of Historic Preservation at Mount Vernon, edited by Carol Borchert Cadou, Luke J. Pecoraro, and Thomas Reinhart (forthcoming fall 2018); and a book chapter as a co-author with John Cherry and Krysta Ryzewski, “A Kind of Sacred Place: The Rock and Roll Ruins of AIR Studios, Montserrat” from Archaeologies of Mobility and Movement. Gabriela Rosado is a Miami native and a graduate of Florida International University, with a Bachelor's degree in Anthropology. Rosado learned about the value of historic preservation through her volunteering with Dade Heritage Trust, a local nonprofit. As an intern for the National Trust, she assisted in conducting a field survey and interviews of local mom-and-pop shops within her neighborhood of Little Havana. 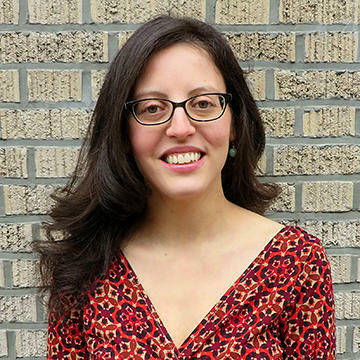 Passionate about her city and neighborhood, Rosado is continuing to expand her knowledge on interdisciplinary ways to use her anthropology background as an advocacy tool for her community and home. 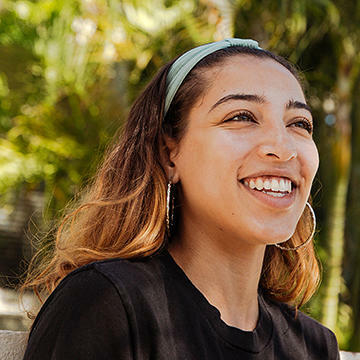 In her free time, Rosado loves to find hidden Miami gems—particularly spaces that allow her to meet caring and active locals in her city. These local leaders creatively leverage technology, law, and finance to spur community investment in preservation-based projects. 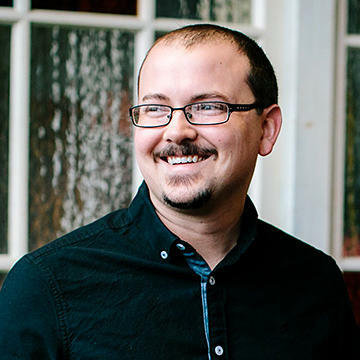 Jake Dougherty is the Executive Director of Wheeling Heritage, a nonprofit focused on leveraging Wheeling, West Virginia’s built, natural, and cultural environment as a catalyst for inclusive economic revitalization. As a member of the WV Abandoned Properties Coalition, Jake successfully led a grassroots advocacy effort to increase the West Virginia State Historic Tax Credit. Currently, he serves on the Boards of Directors of the Augusta Levy Learning Center, Generation WV, Regional Economic Development Partnership, and Wheeling-Ohio County Convention & Visitors Bureau. He is also a member of the Rose Urban Green Fund CDE advisory board. 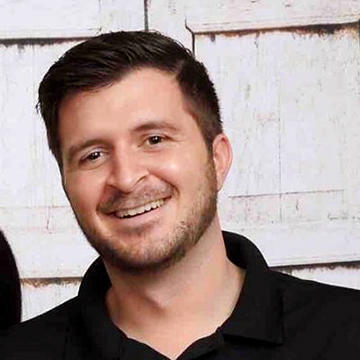 A Wheeling native, Jake previously served as Director of Reinvent Wheeling where he led initiatives around community engagement, small business development, public art, and transportation. He received his Bachelor of Arts degree in Political Science and Public Communications from American University in Washington, D.C.
Breanne Durham works for the Washington Trust for Historic Preservation, based out of Seattle. She manages the Washington State Main Street Program, a statewide network of communities working to revitalize their downtown districts using the Main Street Approach. In this role, Durham provides on-site technical assistance to local Main Street programs across the state and coordinates a variety of educational opportunities including RevitalizeWA, the annual statewide preservation and Main Street conference. Prior to working for the Washington Trust, Durham spent five years as the Executive Director of Beautiful Downtown Lewiston, one of Idaho’s first designated Main Street programs. She believes strongly in community organizing as a means of preserving heritage and creating vibrant local economies. 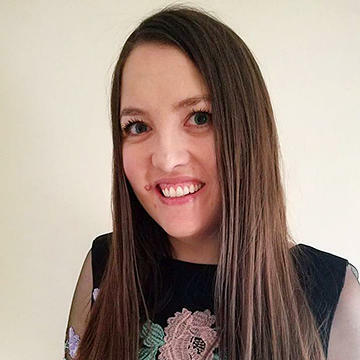 Durham is a graduate of Whitworth University and is currently pursuing her MA in Communication & Leadership Studies through Gonzaga University. Joey Sanchez and his wife, Kelly, took a bike ride one Saturday morning from Downtown Houston to Herman Park. Along the way, through Midtown, they began to take photos of each blue tile street sign that they encountered—which led to the question, how many blue tile street signs are in Houston? After the documentation of over 20 photos, the #BlueTileProject was born. As Houstonians began responding and sharing the #BlueTileProject, they noticed that the tiles were more than just street signs. The blue tiles were historically significant as the first signs of street art in Houston. Now, these mosaic art works are a symbol of art and civic image for the city. The civic image spans across neighborhoods and connects businesses and residents to the local streets of where they live, work, and play. 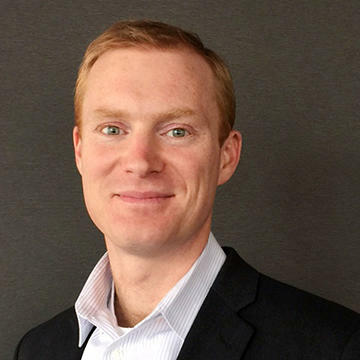 Clint Tankersley is the founder and executive director of Presonomics and is devoted to promoting the economic benefits of saving historic places. He hosts HiFi History, a podcast that tells contemporary stories with a connection to the past, and co-hosts Naked Nonprofit, an unbridled and uncensored podcast about the struggles and hard-earned lessons of running a new nonprofit. Both HiFi History and Naked Nonprofit are featured on Heritage FM, the newly launched podcast network that Tankersley co-founded with Katie Rispoli Keaotamai to provide culturally charged audio entertainment for all. 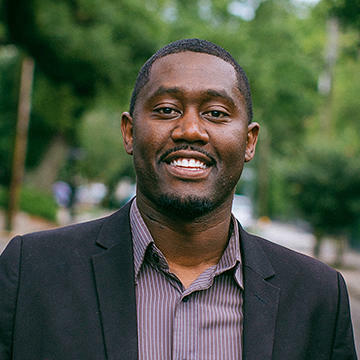 Tankersley is an attorney who specializes in cultural heritage law, and he was honored to be one of Preservation Action’s first Advocacy Scholars in 2014. He serves as a board member and vice president of Easements Atlanta and is also a founding board member and treasurer of Historic Atlanta, the city’s grassroots preservation organization. Tankersley is a graduate of programs in business, law, and heritage preservation from Columbus State University and Georgia State University. He teaches Preservation Economics in Georgia State University's Master of Heritage Preservation program. 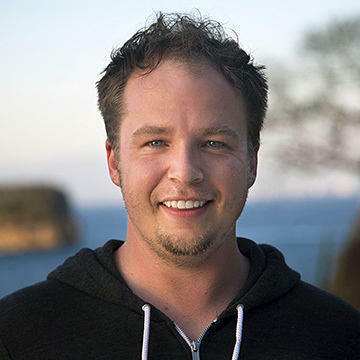 Jase Wilson is founder and CEO of Neighborly, the San Francisco-based fintech startup modernizing access to public finance—the billion dollar per day market that funds vital public projects like schools, parks, and next-generation infrastructure. Prior to Neighborly, Jase founded and operated Luminopolis, a civic software firm focused on saving local governments millions of dollars annually by replacing legacy enterprise software with modern open source equivalents. A technologist and urbanist, he studied city planning at the University of Missouri, Kansas City, and the Massachusetts Institute of Technology.